Our office manages and supports a variety of financial awards to recognize excellence among our students. 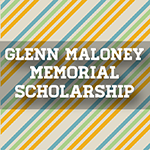 This scholarship is given in memory of Glenn W. Maloney. Glenn served The University of Texas at Austin for 19 years, the last seven as Associate of Dean of Students. The Glenn Maloney Memorial Scholarship was established to remember Glenn's countless contributions to UT Austin and to recognize the students he loved. Through this scholarship, Glenn's enduring legacy is to continue helping the students whose lives he enriched. 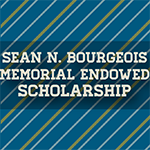 Established in honor of former Longhorn Hellraiser and engineering student, Sean N. Bourgeois, the Sean N. Bourgeois Memorial Endowed Scholarship recognizes a deserving student at The University of Texas at Austin who exemplifies qualities exuded by Sean: university spirit and campus involvement. A member of Longhorn Hellraisers will receive first preference, and second preference will be given to a student majoring in engineering. Through the Tejas Club, members live a more complete life by sharing their personalities, abilities, and commitment to good fellowship and a high standard of conduct in order to encourage loyalty and usefulness to our school and further good scholarship. 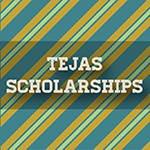 These scholarships recognize members whose service to UT Austin, the Tejas Club and the Austin community best demonstrates the application of these ideals.